American-Born al Qaeda Calls for Attacks in U.S.
A U.S.-born spokesman for al Qaeda called for Muslims living in the United States and Europe to carry out attacks there, CBS Radio reports. In a 48-minute video posted today on militant websites, Adam Gadahn said that it is a duty and an obligation of Muslims to defend Islam. "It is the duty of everyone who is sincere in his desire to defend Islam and Muslims today, to take the initiative to perform the individual obligation of jihad ... by striking the Zio-Crusader interests," he said, referring to Western and Jewish interests. Gadahn, who has been hunted by the FBI since 2004, also tried to discredit attempts by moderate Muslim leaders to suppress the "jihadi awakening." The video was made available by the U.S.-based SITE Intelligence Group, which monitors extremist activity. 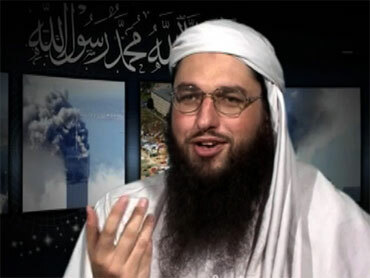 Gadahn grew up on a farm in California and converted to Islam before moving to Pakistan in 1998 where he reportedly attended an al-Qaida training camp.